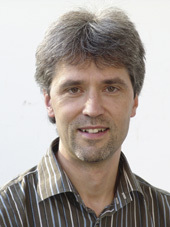 Prof. Stefan Keller is Professor for Information Systems at Hochschule für Technik (HSR) in Rapperswil, Switzerland. Prior to joining HSR in 2001, Stefan has worked at Software-Ergonomielab Credit Suisse, Unisys (Schweiz) and Swisstopo, Bern. Stefan has graduated as geo computer scientist at University Zürich. At HSR, Stefan founded the Competence Center for Integrated GIS (CC integis) and GISpunkt (www.gis.hsr.ch), the platform for Geoinformatics and GIS-Applications at the HSR, which operates together with the Institut für Landschaft und Freiraum (ILF). His fields of activity include information systems, databases, search engines, geo information systems, software development in Java and mobile systems, as well as further education in various Master (MAS) and Certificate of Advanced Studies (CAS). He is a member of Schweizer Informatik Gesellschaft (SI), Geosuisse and the Organization for Geoinformation (SOGI). Use of the material is unrestricted, but please acknowledge the author and ODBMS.ORG if you use or redistribute them.